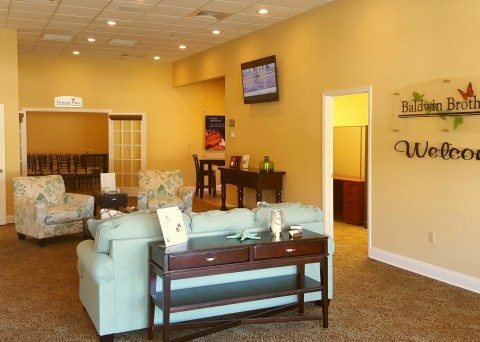 Whether you are planning ahead for the well-being of your loved ones after you are gone or you are seeking aid with funeral or cremation services in Ormond Beach after an expected loss, we at Baldwin Brothers Funeral & Cremation Society are with you every step of the way. We offer the trusted guidance and compassionate support of skilled professionals dedicated to honoring and preserving the memory of those departed with dignity and reverence. Our expert staff offers aid and reassurance, covering a multitude of crucial and difficult details to walk you through this often arduous experience. 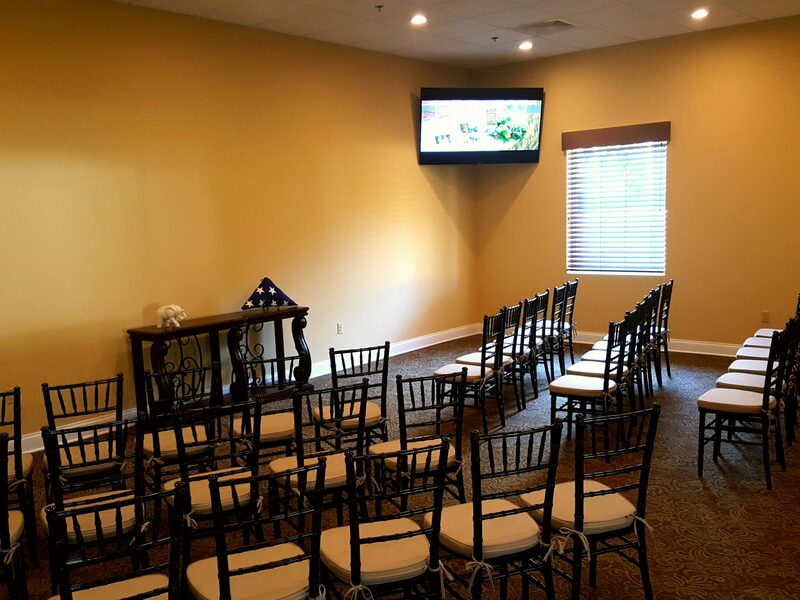 Baldwin Brothers Funeral and Cremation Society of Central Florida has brought comfort and solace to local families since 1980, guaranteeing exemplary funeral care and cremation services for Ormond Beach residents for decades. 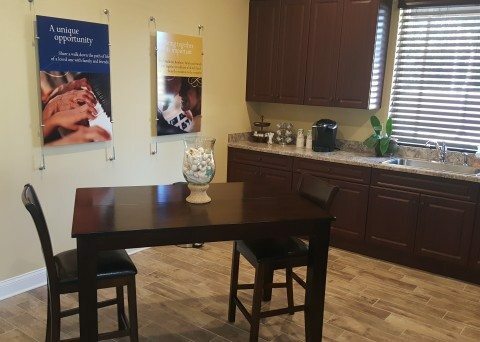 Our commitment to our customers means that we operate with a full open door policy and upfront pricing, no surprises, confusion, or feelings of being overwhelmed. 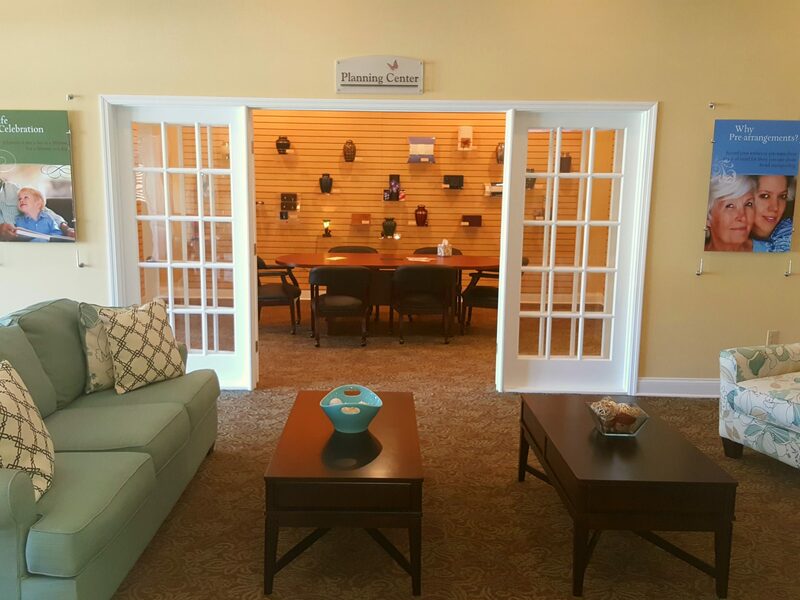 Guided planning assistance is met every day by real people in order to maintain a compassionate human element within Ormond Beach funeral homes. 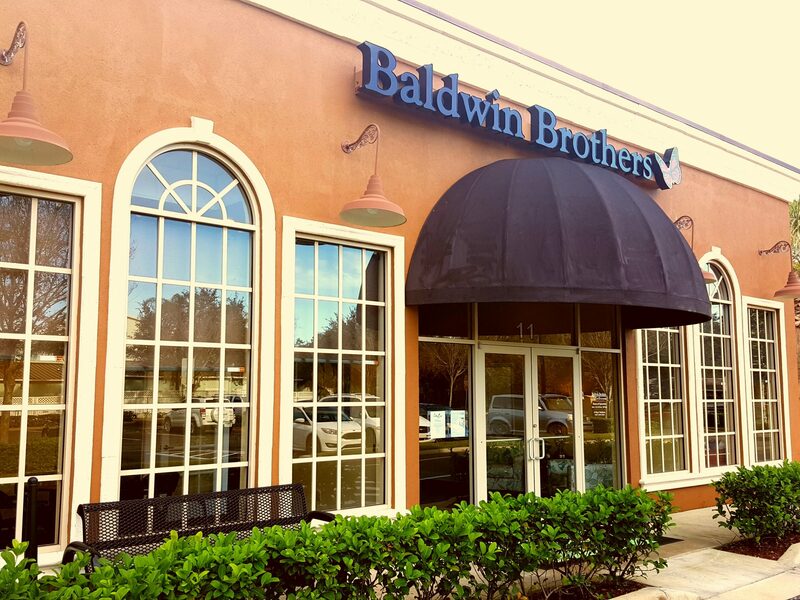 At Baldwin Brothers, we know that there are many challenges you may be facing right now. We understand that planning a funeral while grieving can be a trying and difficult process, and all too often are families unprepared for the many and easily overlooked details of putting our loved ones to rest. 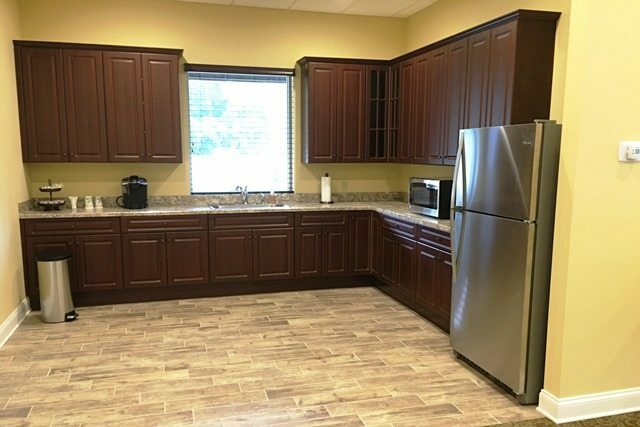 With every possible option and cost readily put forward and explained by loving professionals, our customers are spared untold time and emotional strain. We offer our support and planning expertise so that everything will unfold exactly as your loved one would have wanted it to. 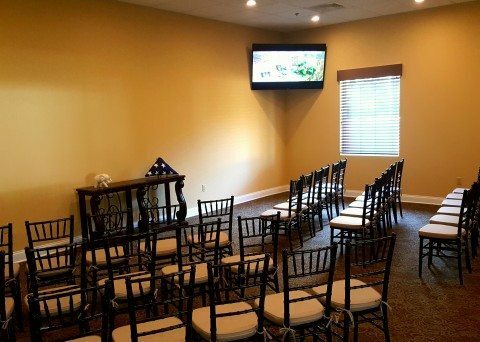 Funeral homes in Ormond Beach must be prepared and available to help friends and family with every facet of mourning. 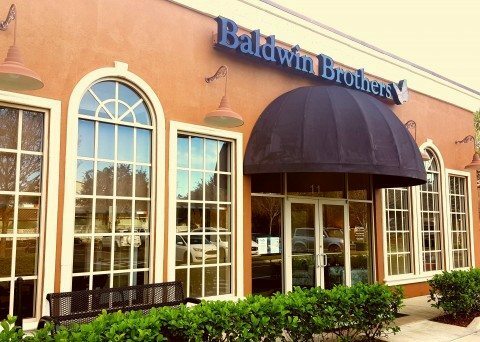 Baldwin Brothers is an example of the duty and service we deliver to the community every day. We offer convenient pre-planning options for those wishing to ensure the care and well-being of loved ones well into the future. By planning the details of your own arrangements well in advance, your loved ones will be spared the confusion and pain of an unprepared funeral and allowed the time and means to reflect and grieve. By pre-arranging a detailed plan of services, your family will not be left to guess or wonder or what you may have wanted but will honor your memory with sincerity. 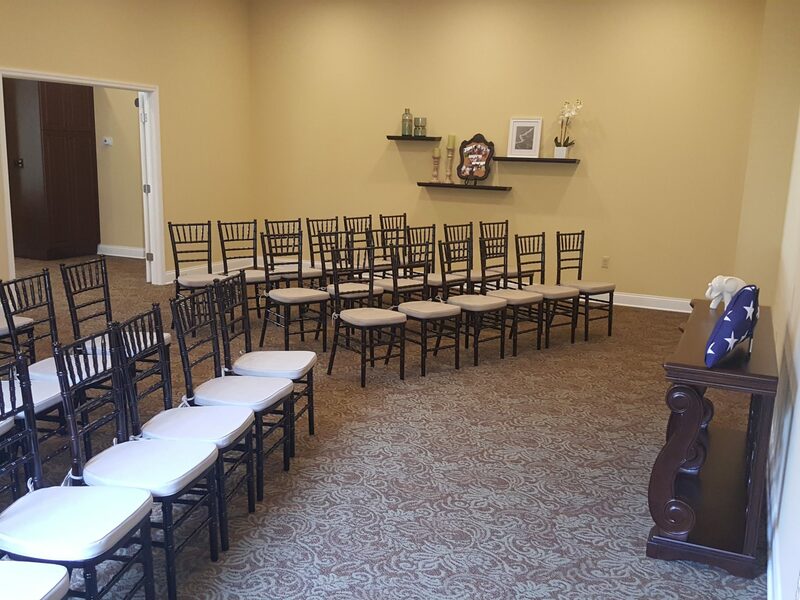 Unlike some Ormond Beach funeral homes, we do not add extra charges to arrangements made years in advance. Our pre-planning options are completed with frozen pricing, meaning that no matter how much time has passed no additional fees for inflated costs will occur. You will never have to concern yourself with the possibility that your loved ones will be left with an unexpected bill. Assisted Funeral Planning helps you construct the ideal ceremony and arrangements while staying within a reasonable budget. We offer the best available prices for Ormond Beach cremation services and a variety of funerary options and convenient packages. 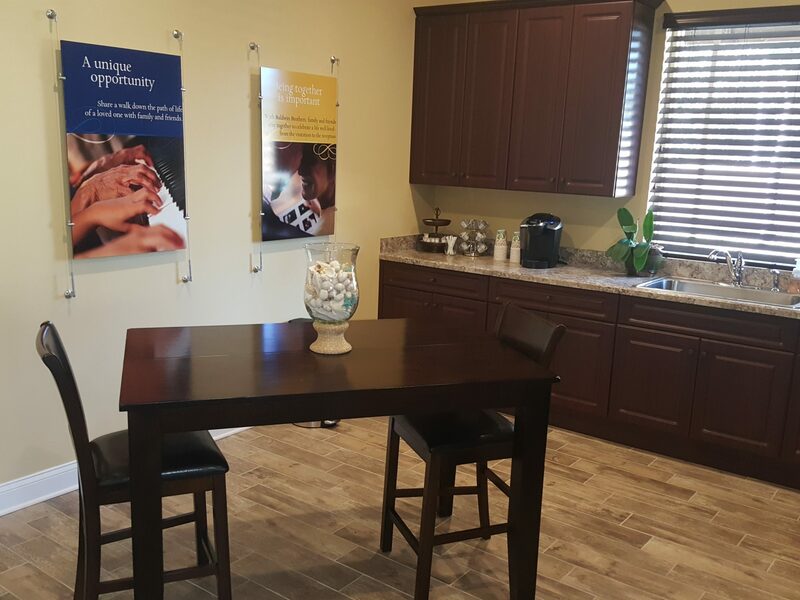 Our goal is to make arrangement choices for our customers as simplified and worry-free as possible, without confusion or pressure. 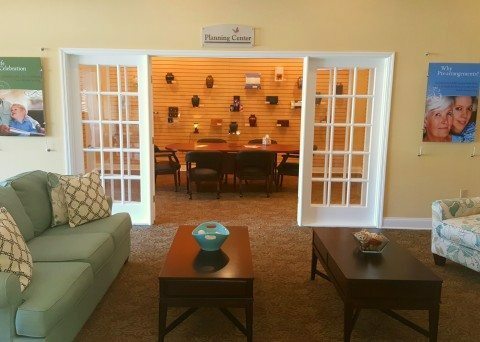 Funeral homes in Ormond Beach share a professional obligation to deliver caring and adept results. Your call will always be answered by a live and caring person, never forwarded to automated messaging. We guarantee complete satisfaction with clear and compassionate service or else issue a full refund. 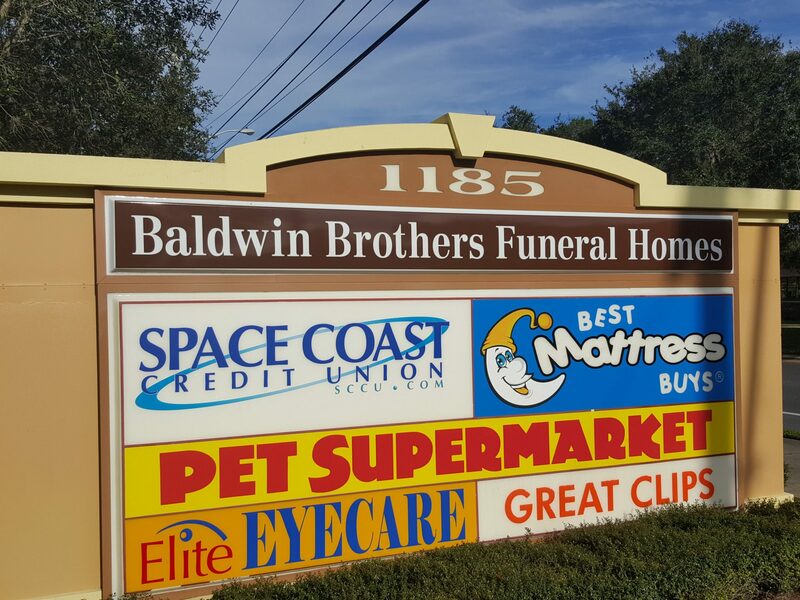 In addition to proudly serving the community of Ormond Beach, Baldwin Brothers also offer Flagler Beach funeral and cremation services, and Palm Coast cremation and funeral services. If you find yourself in the unfortunate situation of losing a loved one, be sure to get in touch with us and speak with one of our compassionate and understanding staff members about the next steps to take. We are here 24 hours a day to assist you through this difficult time. 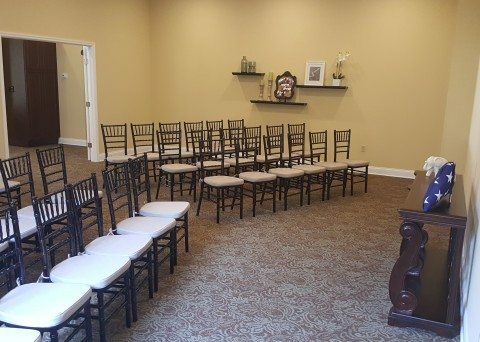 We are an Ormond Beach funeral home with access to our very own crematorium, meaning added value and convenience for our customers. An open door policy grants you the option to personally witness the procedure if you so choose. Close friends and family often hold a private viewing before cremation to say a final goodbye. Our Security Trust tracking system ensures precision operations, so you can be reassured that your loved one’s remains are handled carefully and accurately monitored. We offer a full variety of beautiful and high-quality caskets and urns. In addition to traditional burials, many families choose to forever preserve the memory of departed loved ones with a thoughtful keepsake piece. You can carry ashes tightly sealed within a decorative piece of unique jewelry to be cherished for years. Keepsake Jewelry can even store a lock of hair or flower petals as an endearing reminder. A necklace or pendant is a memory in physical form, a final resting spot for the dearly departed. Baldwin Brothers were formally known as Hannah Cremation Services. 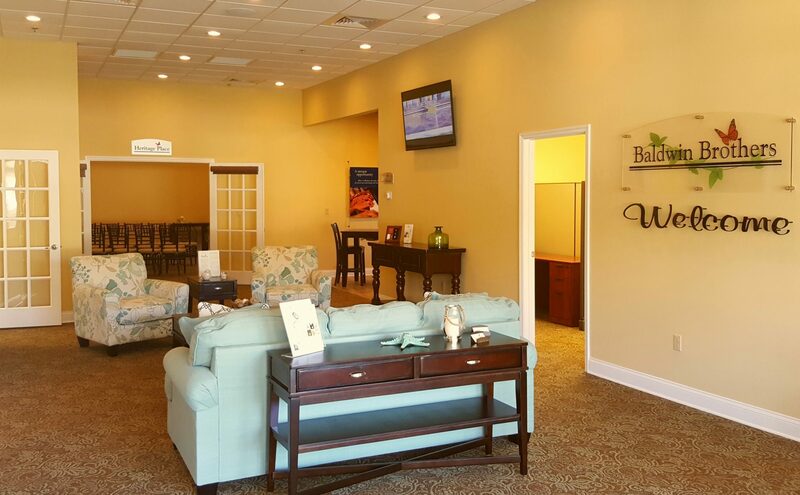 Since then, we have served the community with the best prices, most compassionate care, and the utmost in the sincere hospitality of all Ormond Beach funeral homes. We are available 24 hours a day to serve you and your loved ones with precision and professionalism. Being personally available and consistently reliable is what has kept this local business strong over the years. 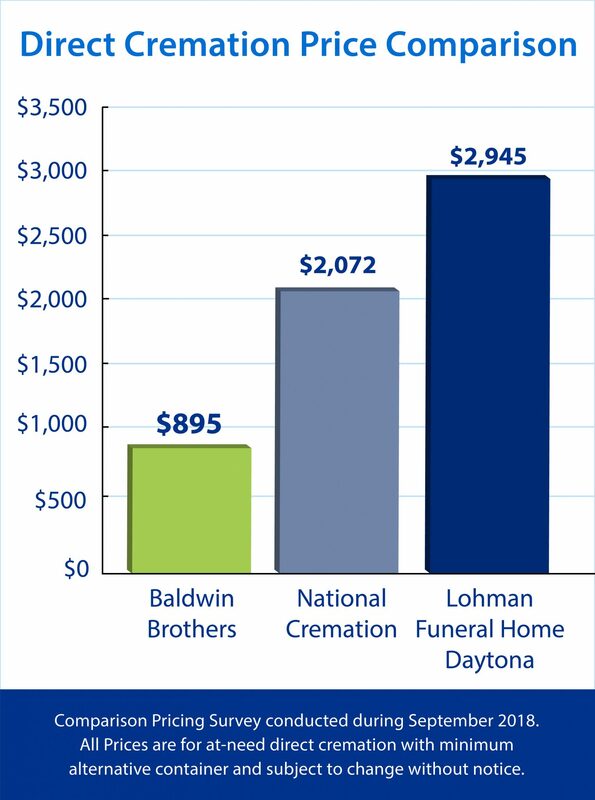 98 percent of our customers would recommend Baldwin Brothers for superior results among funeral homes in Ormond Beach. Planning arrangements can be started today with only the click of a mouse. Do not let yourself be burdened with unnecessary stress when you should be grieving with family. Call anytime, night or day, and allow us to help with your funeral arrangements and planning. 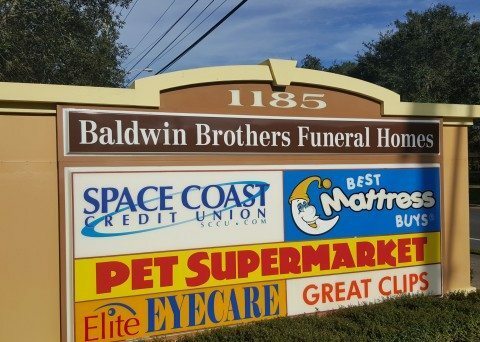 Contact Baldwin Brothers Funeral & Cremation Society for assistance planning your loved one's funeral or cremation service in Ormond Beach, Florida. Also Serving the Daytona Beach and Palm Coast areas.